Payday lenders are responsible for bringing financial hardship to hundreds of thousands of Alabamians and their families every year, swooping in to extract profits from the struggles of hard-working people. 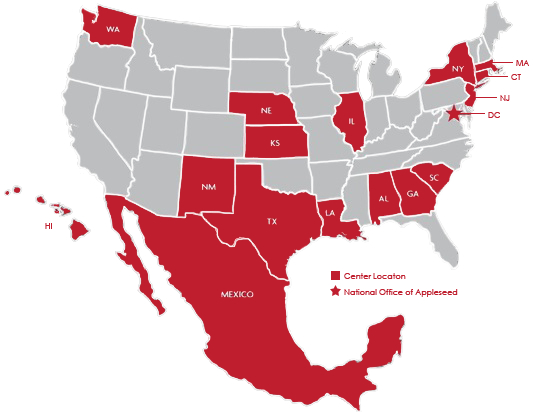 Unless the state legislature decides to act, the scourge of predatory payday loans will continue to decimate family budgets and local economies. 1.7 million: Number of payday loans taken out in Alabama in 2018. 33,032: Average number of payday loans taken out per week in Alabama in 2018. 201,418: Number of Alabamians who borrowed money from a payday lender in 2018. $101.6 million: Amount paid by Alabamians in payday loan fees in 2018. These payments did not decrease the principal amount owed. 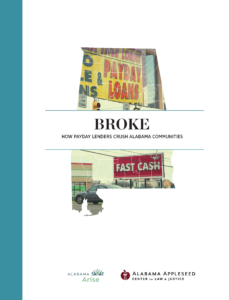 7: Average number of loans taken out by a payday borrower in Alabama in 2018. 74: Percentage of Alabamians who favor a 36 percent APR rate cap and a 30 day minimum repayment schedule.